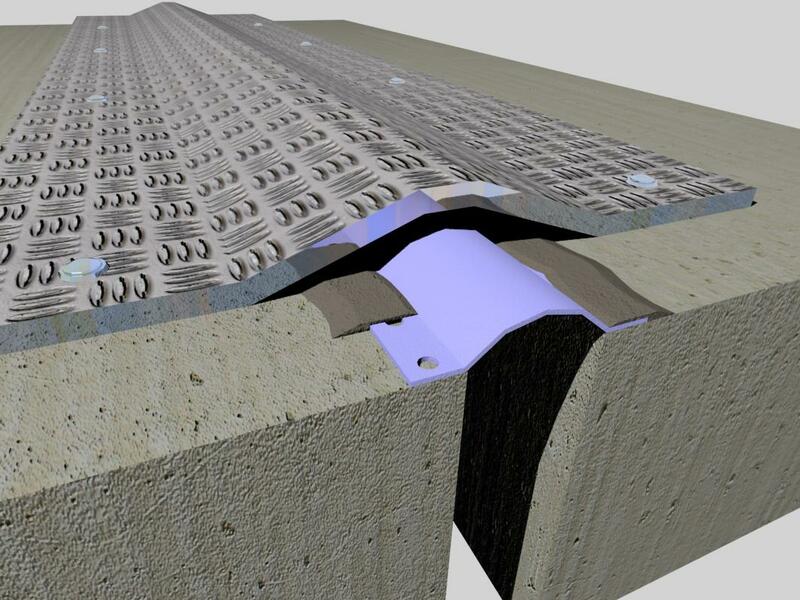 Aquo H is a rubber gland system which is used for water proofing high movement expansion joint gaps. Aquo H can be used in horizontal and vertical applications. 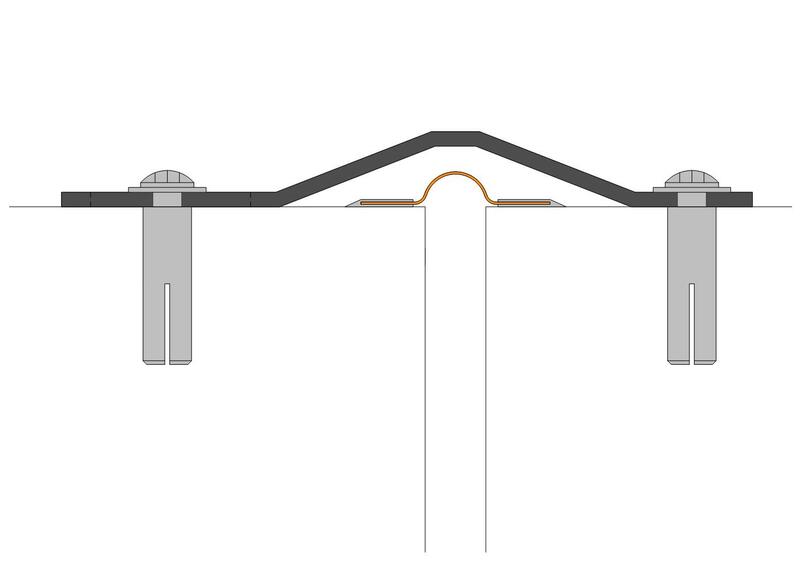 There are holes in each side to assist in anchoring to the substrate. 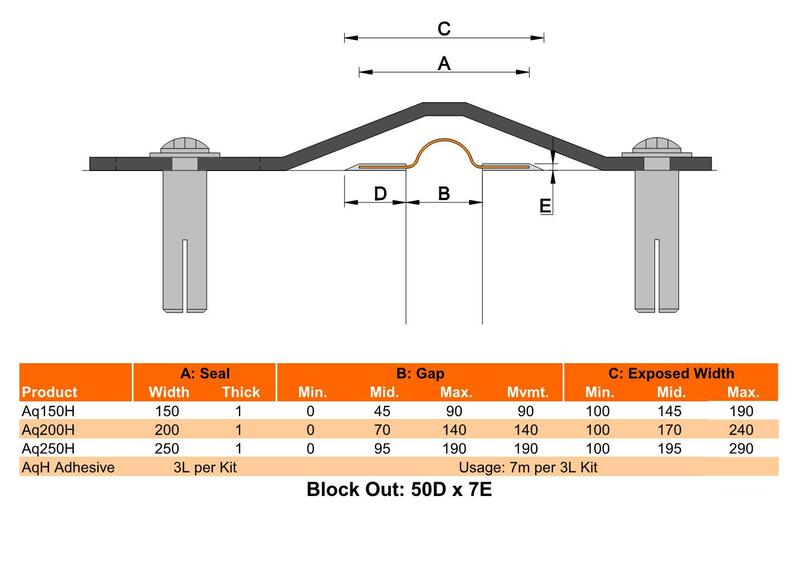 Extra holes can and should be used when Aquo H is fixed under cover systems with applied vertical loads. Aquo H can be solvent welded for upturns, T junctions and other detailing. Building applications include: Retail Centres, Carparks, Transit Terminals, Pedestrian Bridges, Hospitals & other commercial & public buildings.